Knife River Indian Villages National Historic Site is located in Stanton, North Dakota which is approximately an hour north of Bismarck (the states capitol). This location was a major Native American trade center for hundreds of years. They lived in earthlodges along the Missouri River and its tributaries trading furs for other goods and lived a peaceful life. Today you can visit the Knife River Indian Villages National Historic Site and learn about earthlodges, history and their way of life. 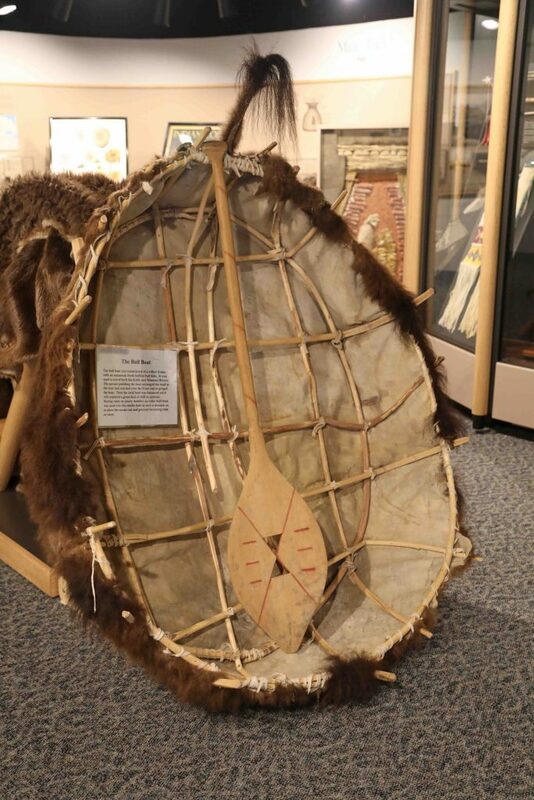 Here is a list of things to do, travel tips and other National Park Sites in the area of Knife River Indian Villages National Historic Site. 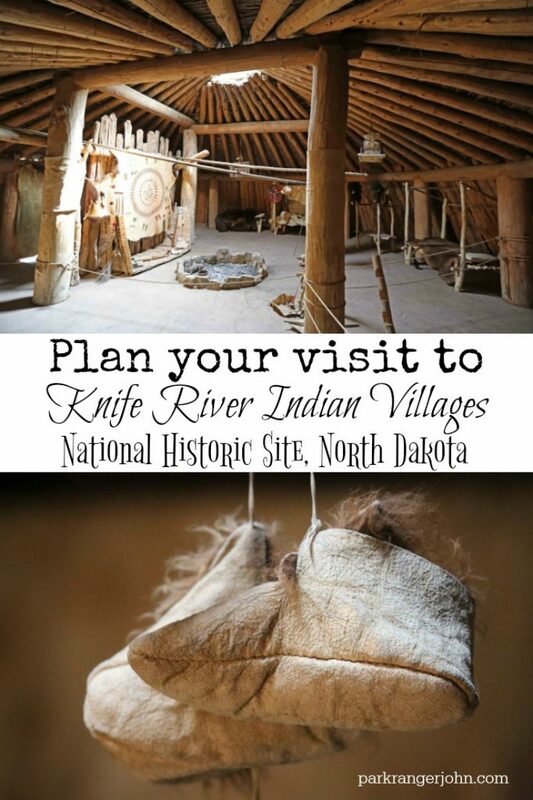 Things to do at Knife River Indian Villages National Historic Site. The first stop should be at the visitor center. Inside you can watch a video and tour the inside and learn more about the people who lived and how they lived. Make sure to keep your eye out for the Bull Boat. This small 1 person boat frame was made with willow and a fresh Bison hide was wrapped around. These boats were used on the Knife and Missouri Rivers. Make sure to get the Junior Ranger book so that you too can become a Junior Ranger. My wife and I still do the Junior Ranger Programs! We both learn something new every time and it is a great way to guide you through the park! 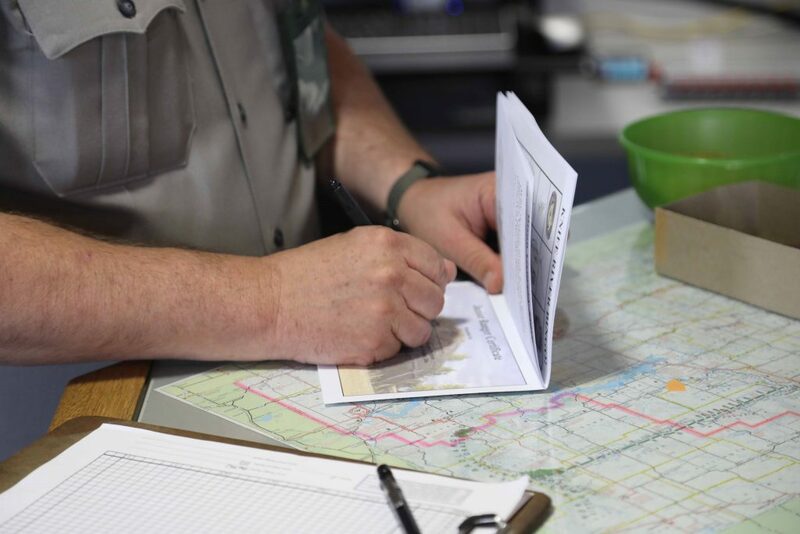 Simply return your completed copy to a ranger in the visitor center. They will check your answers then have you raise your hand and give the Junior Ranger Oath and swear you in. Congratulations! You will then be a Junior Ranger! It’s time to go outside behind the visitor center and experience the earthlodge! I was fascinated with the earthlodges and all that was inside them. I felt both one with nature and very relaxed inside. 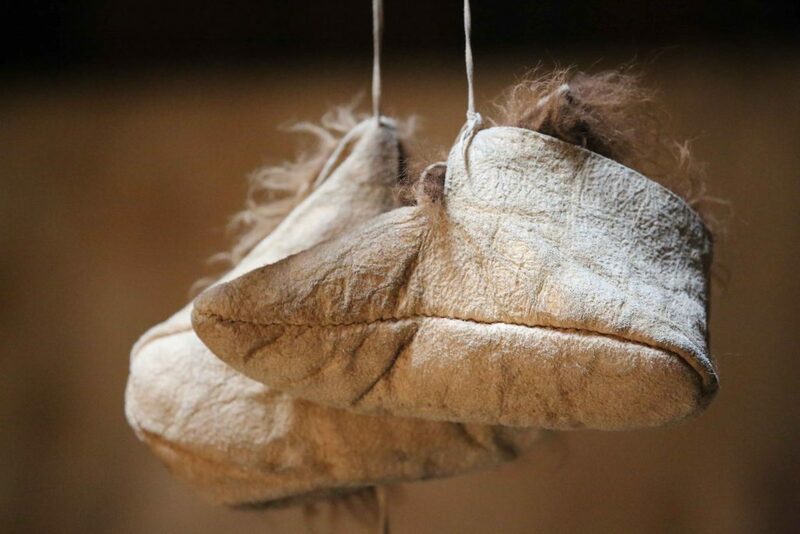 The more I started looking around, the more I saw how local resources were used in everyday life from moccasins to the front door and the beds inside. There are also ranger programs inside the earthlodges and will make you appreciate life here inside these earthlodges. 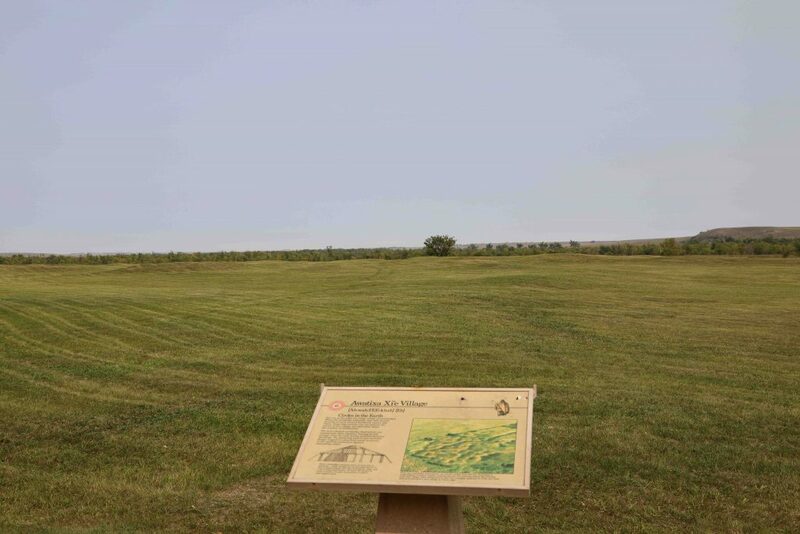 The Village Trail takes off next to the earthlodge and will take you out to the Awatixa Xi’e Village (Lower Hidatsa Site) and Awatixa Village (Sakakawea Site) and along the Knife River. If you have extra time make sure to check out the North Forest Trail. For those into bird watching, make sure to bring your binoculars. When is Knife River Indian Villages open? 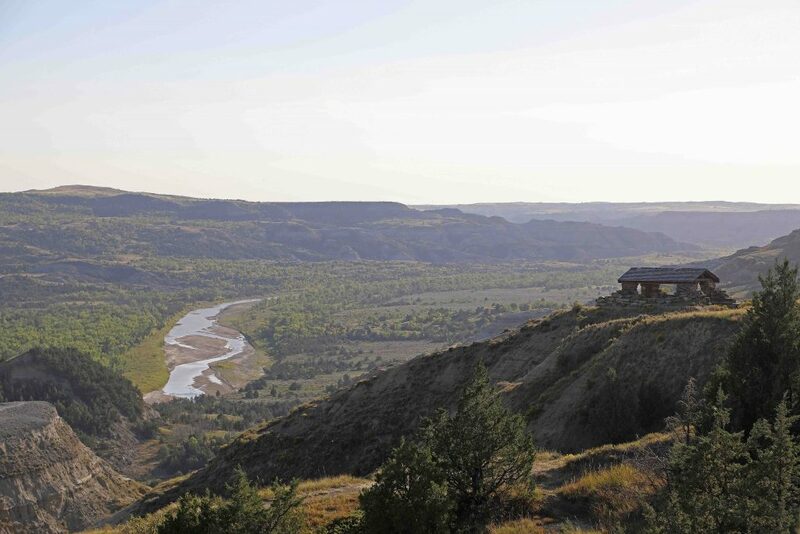 What does it cost to visit Knife River Indian Villages? Where is the Knife River Indian Villages Visitor Center? 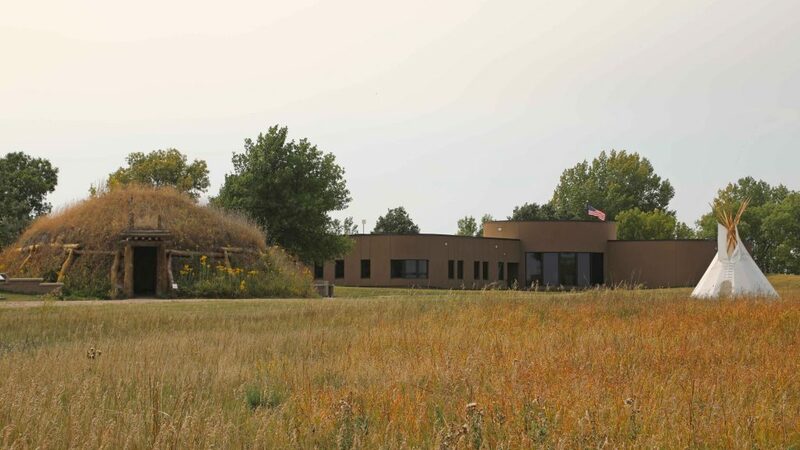 The visitor center is located off of Highway 37 just north of Stanton, North Dakota. The visitor center entrance is in the shape of a giant eagle welcoming visitors. 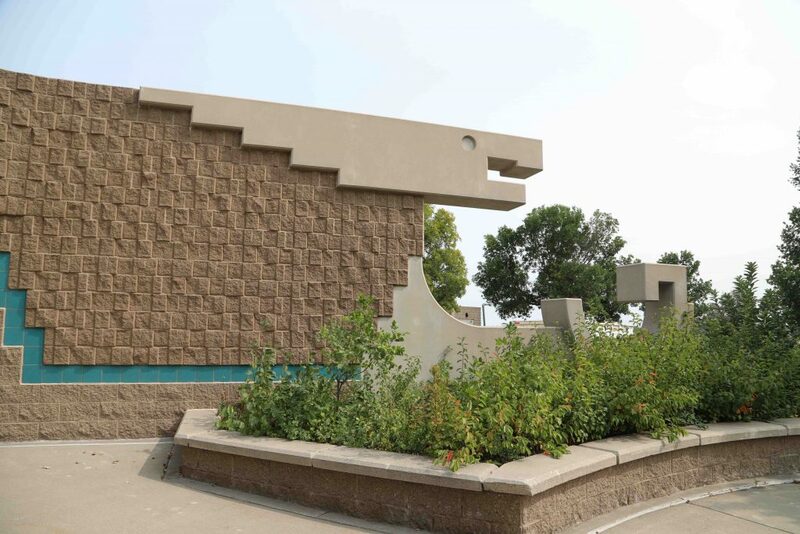 The visitor center includes a movie about Knife River Indian Villages, a bookstore, and interpretive exhibits. 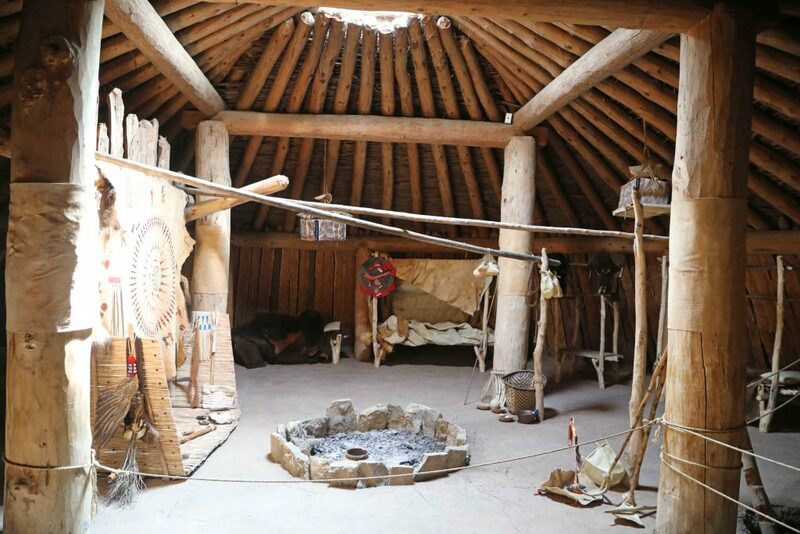 Make sure and visit the reconstructed earth lodge located behind the visitor center. The earth lodge includes replica artifacts during the summer season.